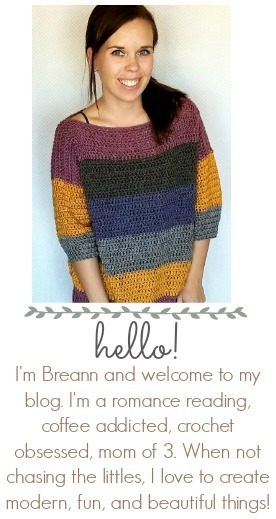 This Easy All Half Double Crochet Afghan is a beast measuring a whopping 70″ x 95″! The beauty of this pattern is that it can be made in any size. This blanket is about a twin bed blanket size, so it’s big. It could easily be made as a throw blanket as well. 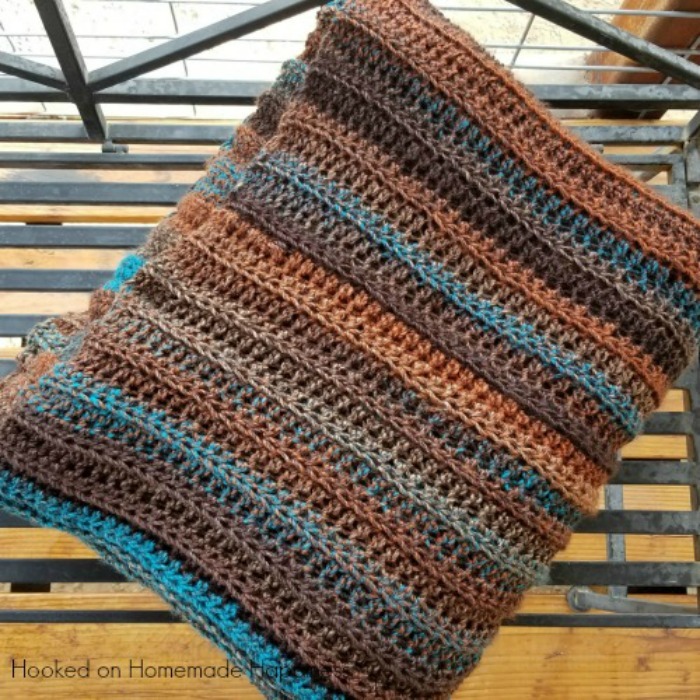 My hubby had been asking for a blanket forever, but I just never seemed to get around to it. Poor guy kept getting passed on by. But when he spotted this yarn at Michael’s I knew it was time to finally get to it and make him his own afghan. I used Loops & Threads Barcelona yarn and I love it. 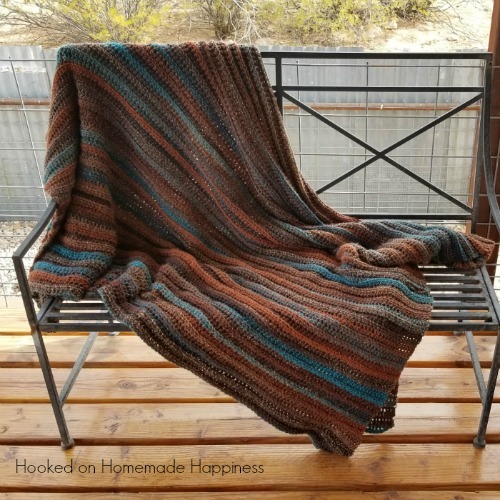 It’s a little bit textured, so not much was needed to really make this afghan beautiful. 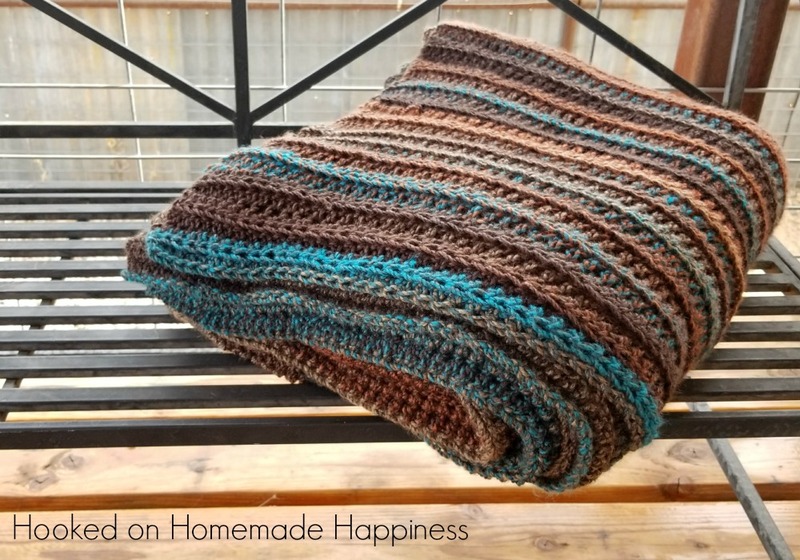 I used the half double crochet stitch for the entire afghan, but I crocheted in the back loop only which gives the pretty ribbed look. This pattern is so easy, it’s just a simple one row repeat. 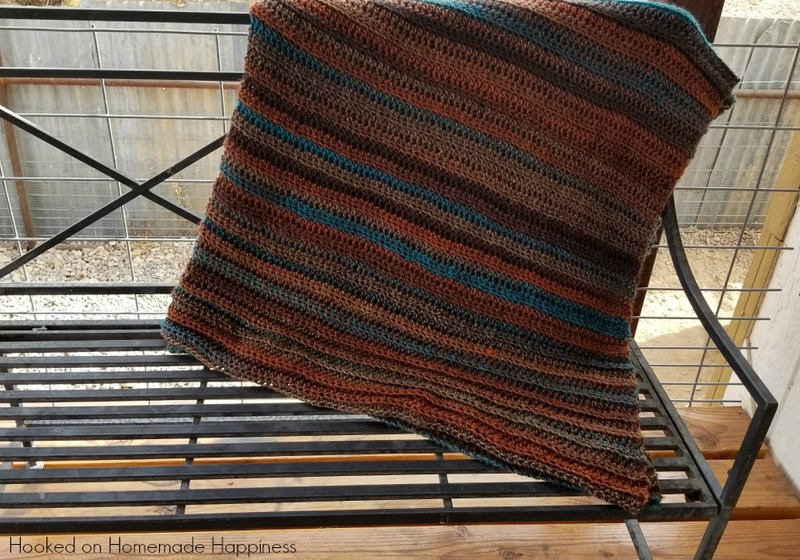 Any level crocheter can make this textured afghan. Beautiful afghan! What color of Barcelona did you use? Thanks. Do you happen to know if they have discontinued the Mocha colour? I contacted Michaels because it was on their website one day and now I can’t find it anywhere. They told me that they would need the SKU number to look into it. Thank you in advance for any information that you might be able to offer. No, I don’t know. Sorry! I couldn’t find mocha!! I was so disappointed . Is this a heavy blanket? This pic is different colors. Do you know what colors are used here?